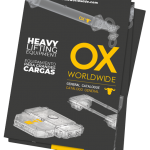 Ox Worldwide designs and manufactures coil clamps, custom-built according to customer needs, for the lifting of all types of coils and of any size. – Adjustable, suitable for coils of different sizes and capacities. – Motorized rotation (355º) for a solid placement. – 380V 50Hz power supply. – Switch limit to restrict the opening and closing of arms. 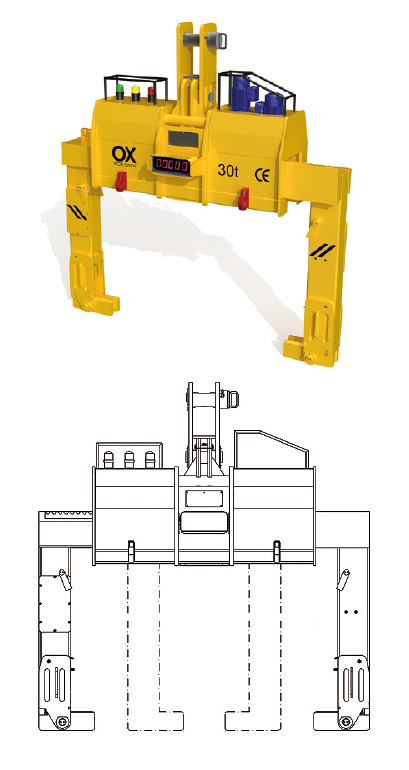 – Load sensors on feet and arms to avoid the opening of the clamp. – 3 light indicators for a safe manipulation of the load. – Four welded hooks (two in each front of the clamp). – ±0,1% accuracy weighing system incorporated. 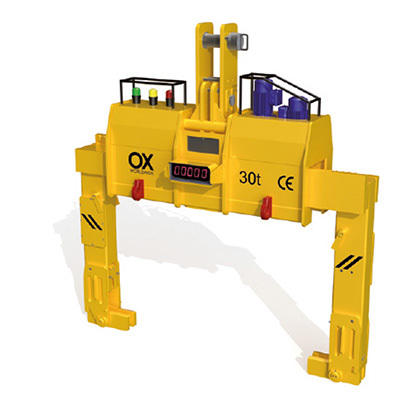 – Radio system for driving the clamp / crane + clamp. – 380V 50Hz hose reel power supply. – Other tensions and frequencies. – Clamp protections depending on the load to manipulate. 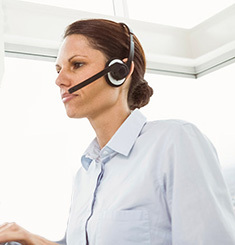 – Suitable for working at high temperatures.